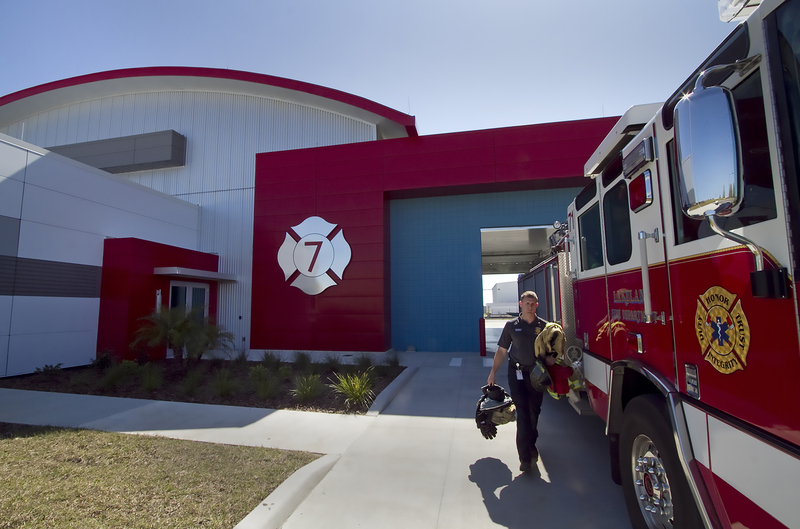 Station 7 is located at Lakeland Linder Regional Airport and serves both as a community station and an Aircraft Rescue and Firefighting Station (ARFF). 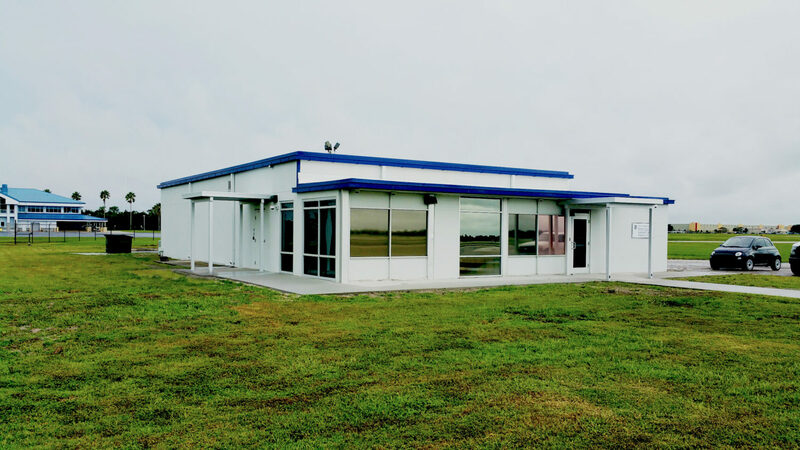 Three bays serve Community needs while two bays serve Lakeland Linder Airport. The facility’s community room was designed to double as a training area and command center during emergencies. 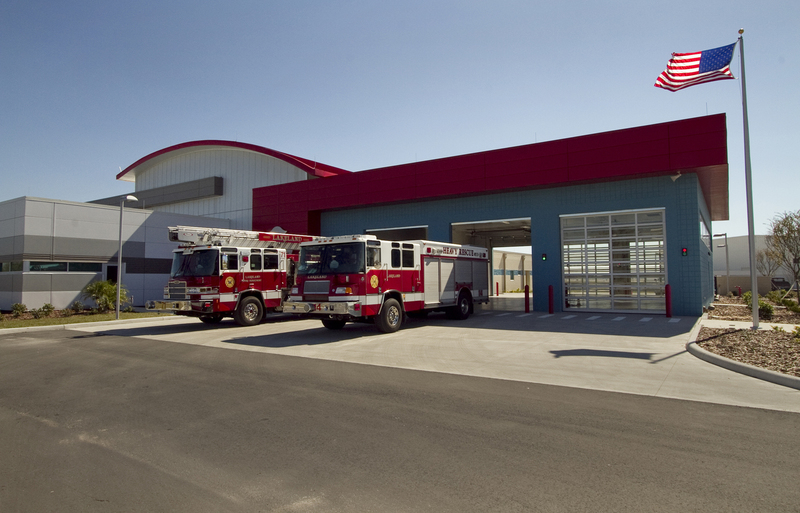 The Lunz Group provided design services for the new dual-use (ARFF and structural) fire station. The facility effectively and efficiently provides one house for two uses. 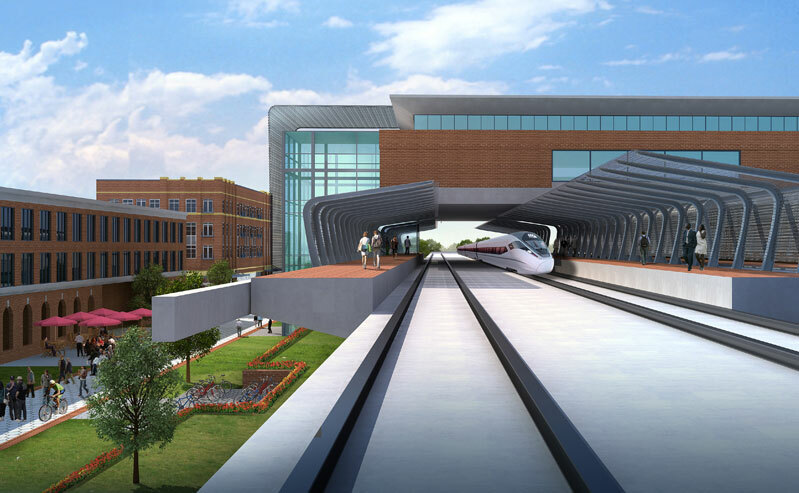 Through our lean design process, we compressed the building programing, design and documentation into five months without compromising owner review periods. The owner still had six weeks of dedicated review time during those five months, and we were able to expedite the timeline to meet the needs of the client as well as our community. 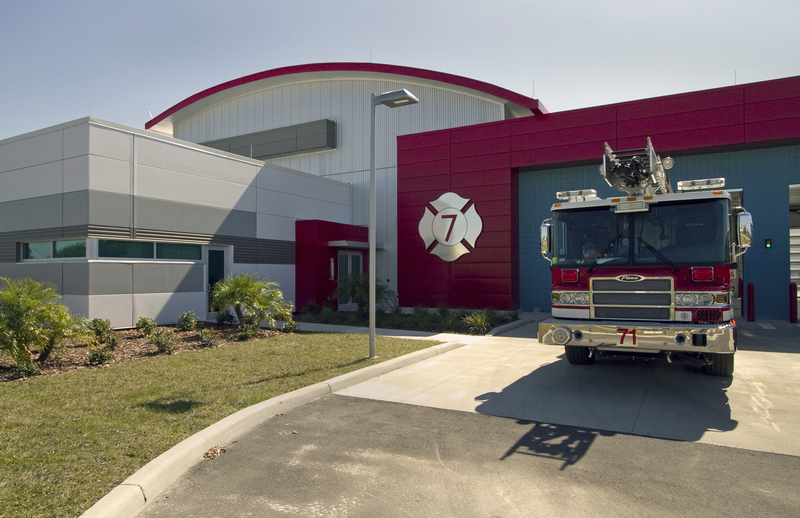 This facility was designed using the GBI Green Globes Sustainable protocol and achieved two Green Globes ratings, making this the first and only Green Globes Certified ARFF facility in the country and the highest rated fire station in Florida. 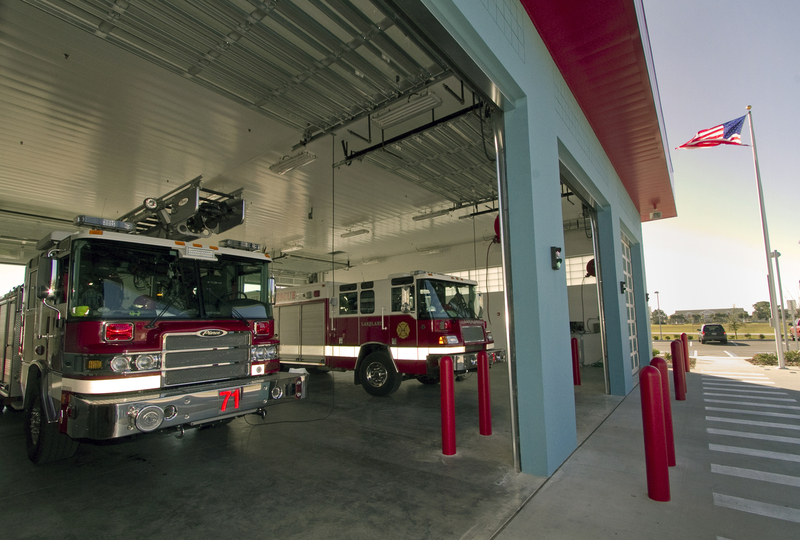 The Lunz Group provided design services for the new dual-use (ARFF and structural) fire station. 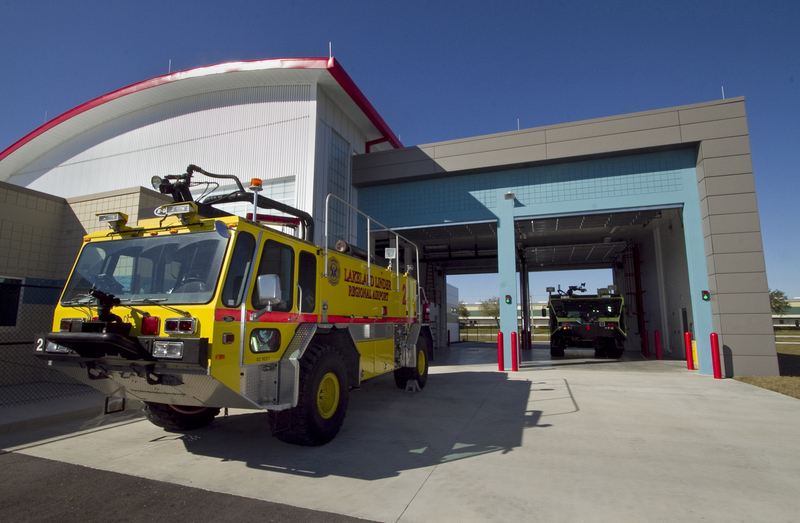 The facility effectively and efficiently provides one house for two uses: a community fire station as well as an ARFF for LAL. The facility’s community room was designed to double as a training area and command center during emergencies. 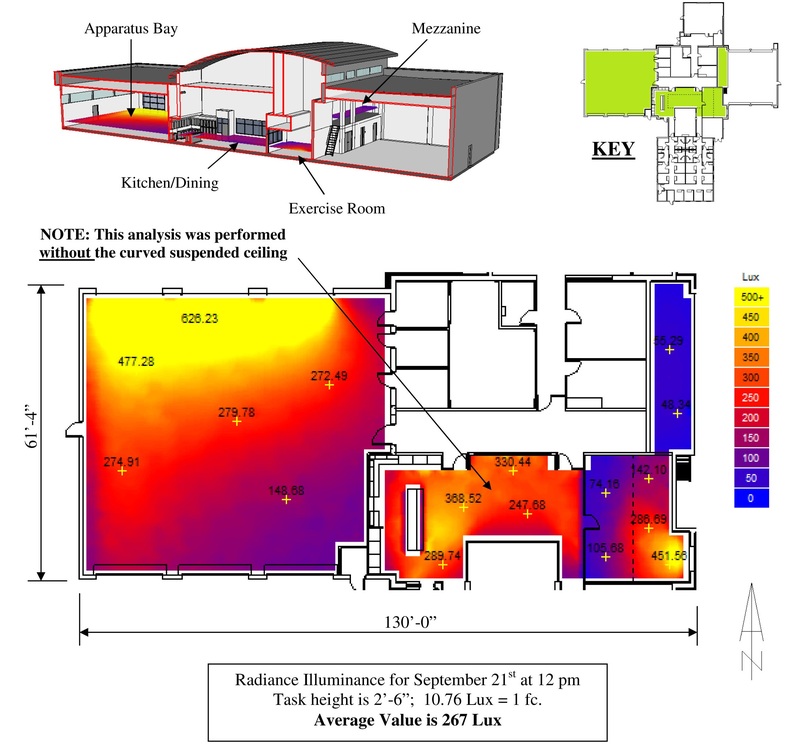 Through our lean design process, we compressed the building programing, design and documentation into five months without compromising owner review periods. The owner still had six weeks of dedicated review time during those five months, and we were able to expedite the timeline to meet the needs of the client as well as our community. 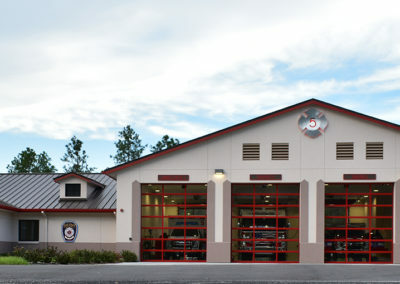 It was important to us to not only select an architect who could design a functional fire station, but to select one that could also keep the project within budget, maintain high standards of quality, and incorporate Green Globes Initiatives while designing a fire station that would fit in well, aesthetically, in the community it would serve for many years to come. [The Lunz team] did all of this while ensuring the community would have a beautiful, functional fire station capable of serving it for the next 50 years or more.